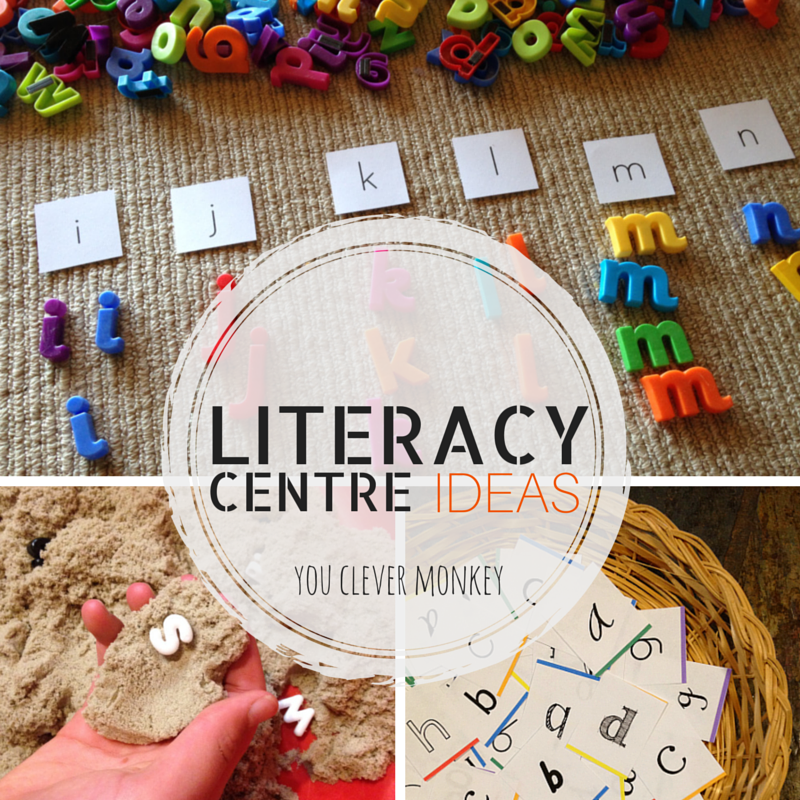 Even more literacy centre ideas to try in your classroom to help your students learn how to rhyme, recognise syllables, initial letter sounds, high frequency sight words and read and spell CVC words. This year I'm back in the classroom after working in preschool and literacy centres are part of our weekly timetable once again. 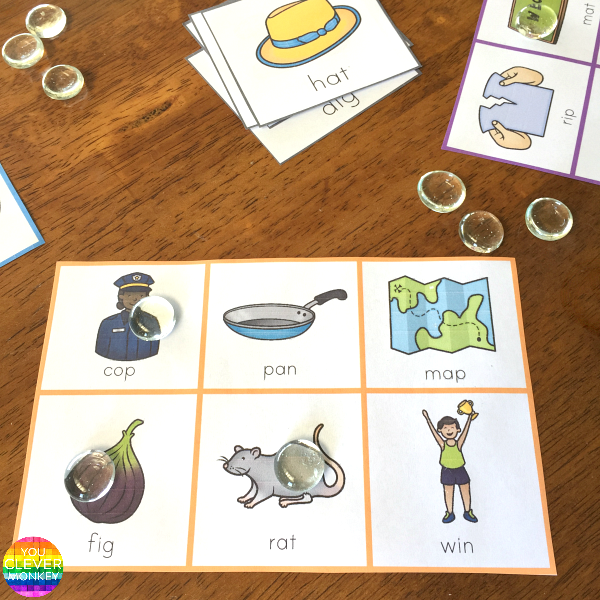 A couple of years ago I did a round-up of some of the literacy-based activities I was using during our work stations and thought it time to share some of the resources I'm now using with my current class who are aged between 4-6 years. 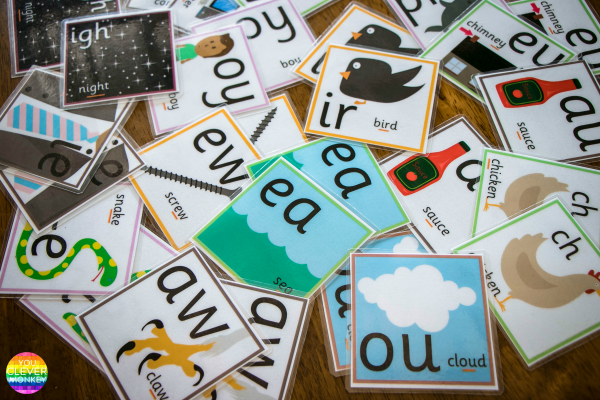 In the first term at school we focused a lot on rhyme, syllables, initial letter sounds and name recognition/writing along with co-operative play and developing vocabulary. 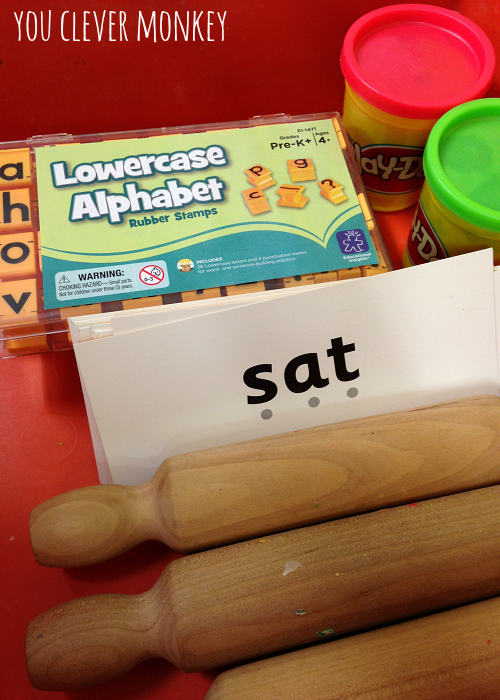 Later in the term we started to look at beginning sounds, short CVC words (consonant-vowel-consonant) and sight words. Children who can rhyme will become better readers and writers so games that allow children to hear and produce rhyme are often included in our literacy centre rotations. 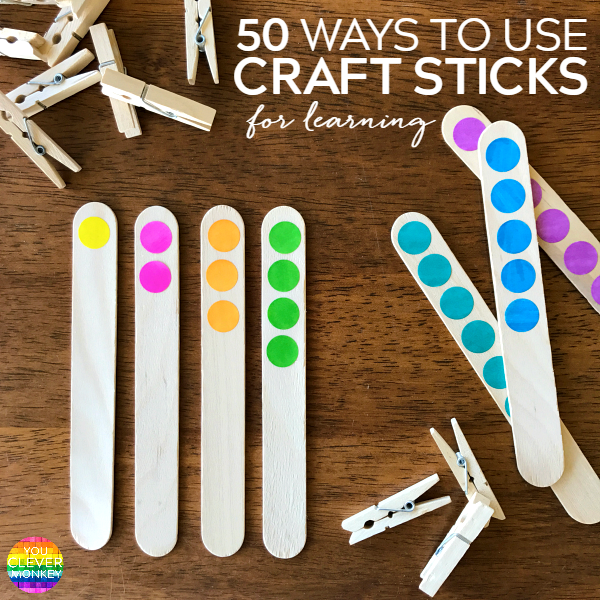 You'll notice that I tend to come back to the same type of resources over and over again for literacy centres - rocks, sticks, cards. I particularly like these wider plain icecream sticks. I used them recently to make these games of rhyming dominoes. 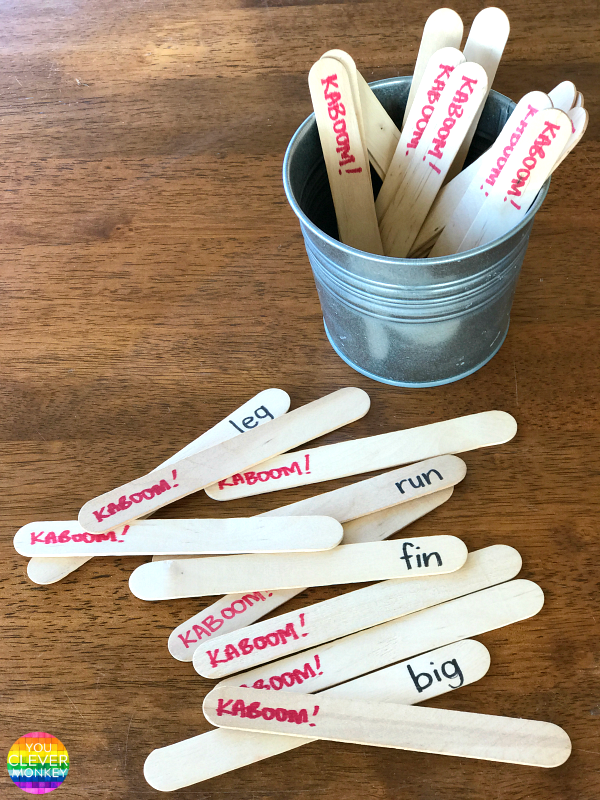 Starting with the first stick in the series, children need to find a word that rhymes to link the sticks. You note I've kept to CVC words to make them easy to decode independently by early readers but I'll often place one strong reader in each group to help things moving if I don't have a teacher's aide during this time. I saw this game Kaboom! over on The Starr Spangled Planner and thought I'd make a rhyming version. 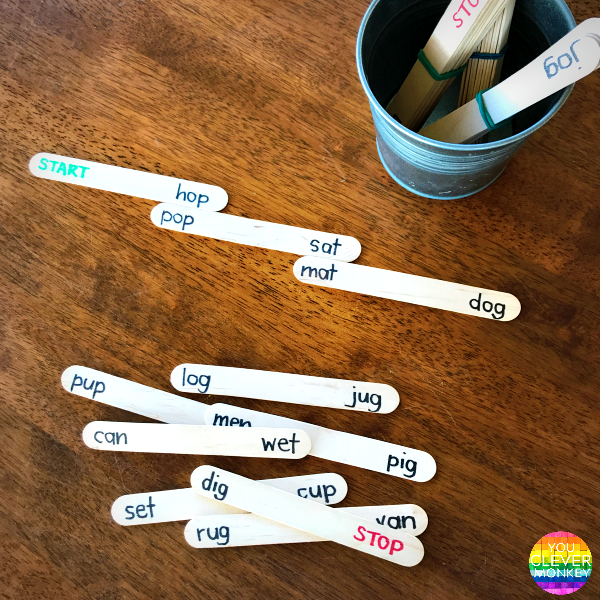 Simple to play, children take it in turns to remove an ice-cream stick from the cup (words are at the bottom), if they can say a word that rhymes, they keep the stick. If they can't, they must return it to the cup - KABOOM! My students love this CVC word family BINGO game. We've played it as a whole class and now occasionally use it as a centre to help them practice making rhyme. One of my favourite websites for great printables would have to be The Measured Mom. 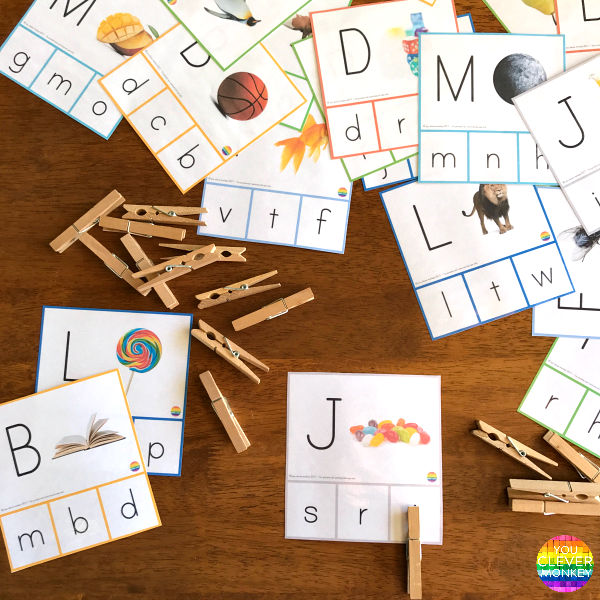 She has several different types of cards like these rhyming ones and the bonus is that it strengthens fine motor skills too! 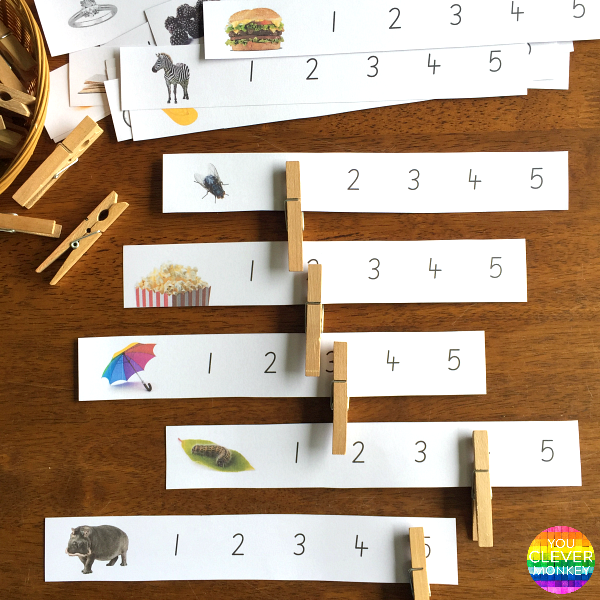 I've used this rhyming pairs game from The Imagination Tree as a whole class activity. 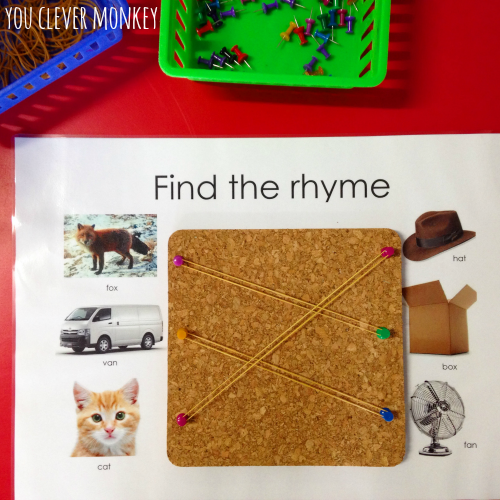 Last year at preschool I made these rhyming mats for play so children can use the pins and rubber bands to make the pairs independently. We've done a lot of work in class around syllables - we've clapped syllables, we've sorted syllables, we've used the number of syllables in our names to help work out who the star of the day might be and now we keep revising the concept with our literacy centres. 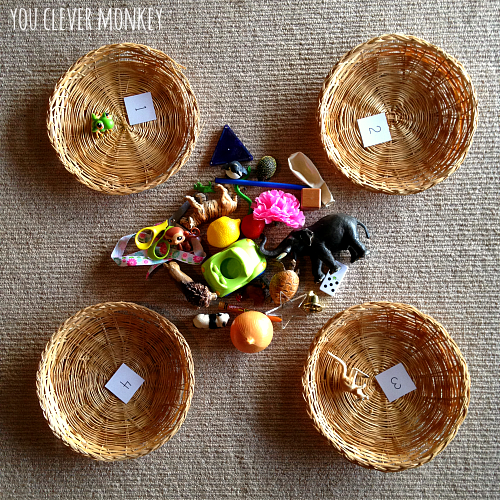 We've used the numbered mats I shared before and sometimes we use baskets to sort our objects by syllables. 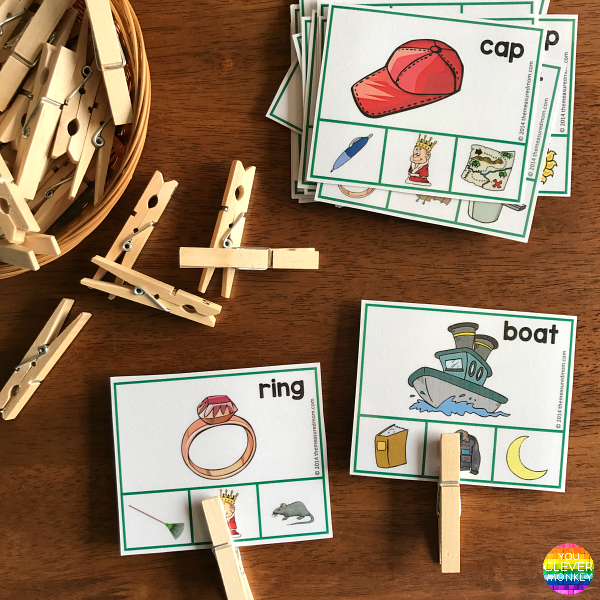 I've just printed out these peg cards to use this term in our centres. The school I'm teaching at currently uses the Jolly Phonics program which sees children introduced to a new sound a day. 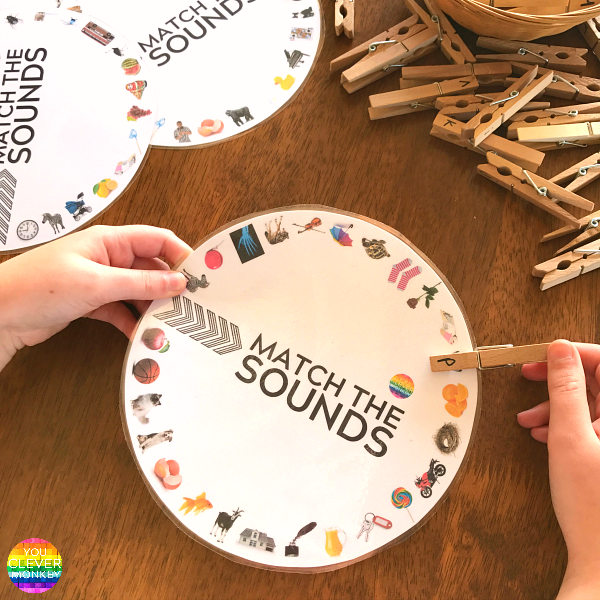 We don't always do an activity the same day to help reinforce the new sound but will incorporate some in our centres particular for those sounds which are proving more difficult to learn. I've also printed more single letter and digraph phonogram cards from Early Learning HQ to start with before these ones I already had. They make such lovely printables and many are editable to make them your own. 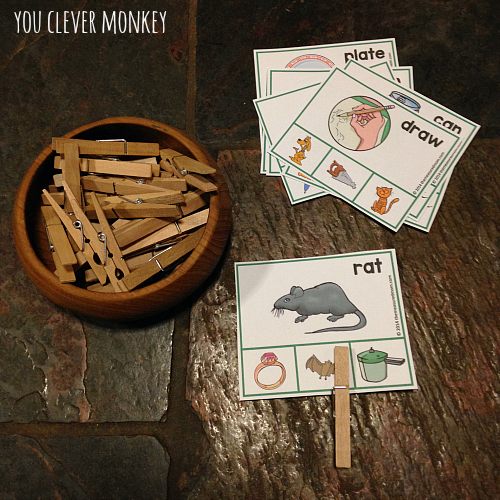 The children like playing memory so I usually print out two copies of any printables so we can use them this way. These cards came from The Measured Mom and children have to work out which of the images start with the letter displayed. This pictures are lovely and clear. We used pegs to match then sorted them into alphabetical order afterwards - always a great time filler when needed. 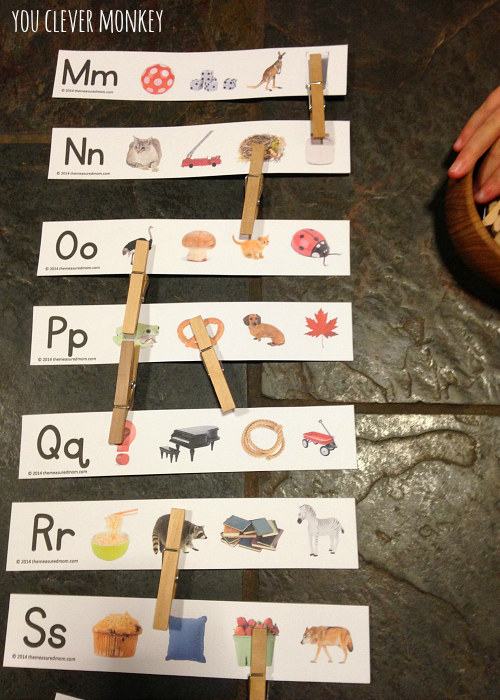 For children looking for more of a challenge, these initial sound wheels have proved useful too. At the start of term I printed out everyone's name and the children can use these to help them write or make their own names. I used dotted lines and laminated them so they can also trace over their names with whiteboard markers too. 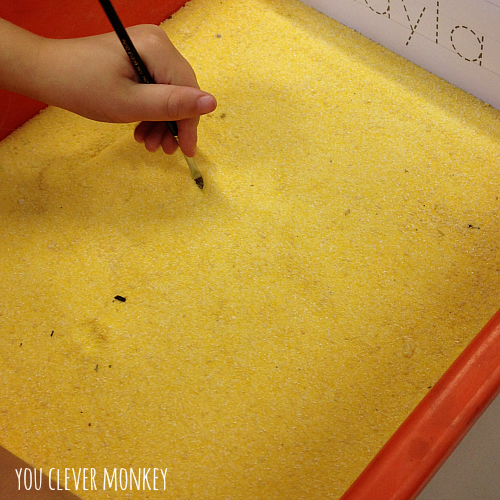 Here we used them to help us write in the out-of-date semolina we used instead of the standard salt or sand tray. At the start of the year, I also bought each child their own small tub of playdough. I stole this idea from another teacher I know (thanks Deb) and the children can use them during our free play but we often use them during centres and in Maths too. Here we used it to make our names. 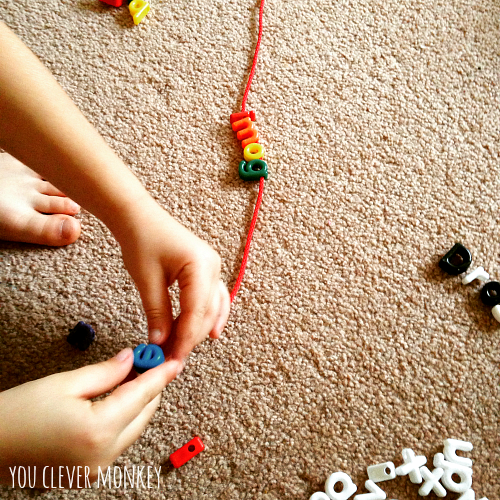 I love these Alphabet Letter Beads for making words and have found so many different ways to use them. I bought two boxes of lower case letters and one box of upper case letters. I'm finding them especially good for children still working out the direction of letters because when they look at their own name they can see clearly when a letter has been threaded the wrong way. I've also made up some resources to help sort out the pesky 'b' and 'd' confusion. 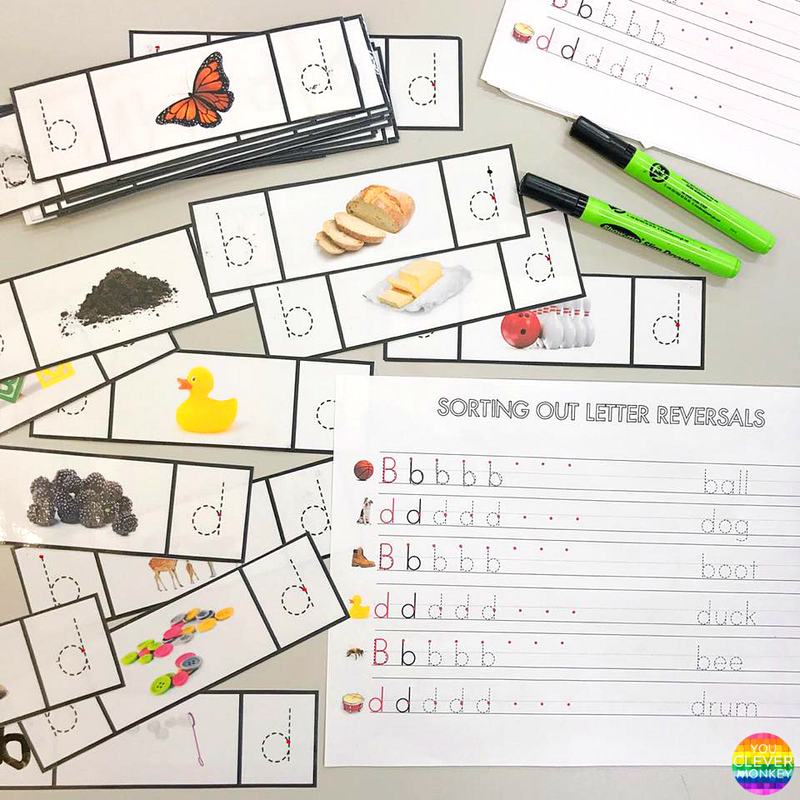 I've included 'p/q' cards along with visual cues for each letter to help students differentiate which letter makes which sound (b is for bed, d is for dog maybe). You can find the full set of letter reversal cards here. I'd bought these alphabet stamps a couple of years ago. 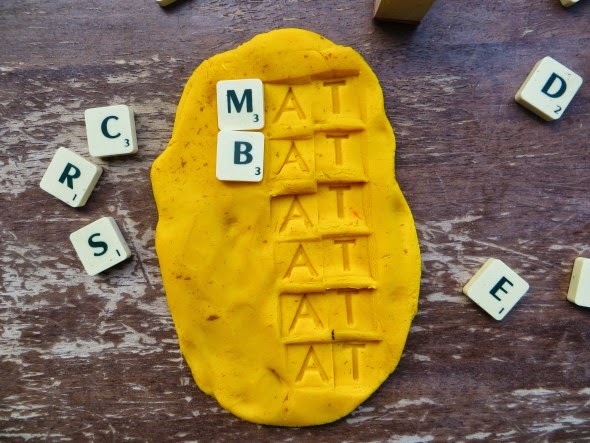 Here we used them to stamp some of our CVC words into some play dough. 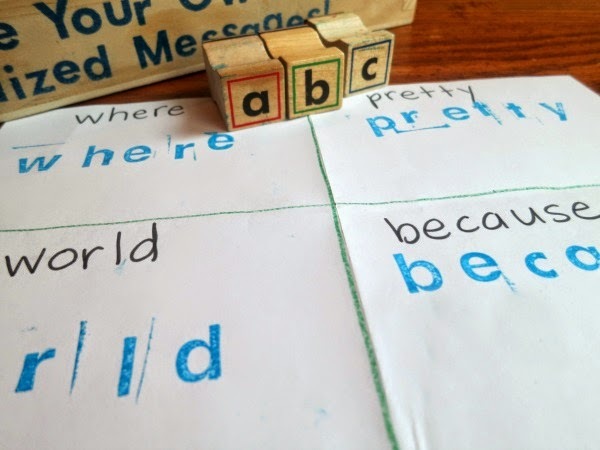 You can also use your stamps to target particular high frequency words. 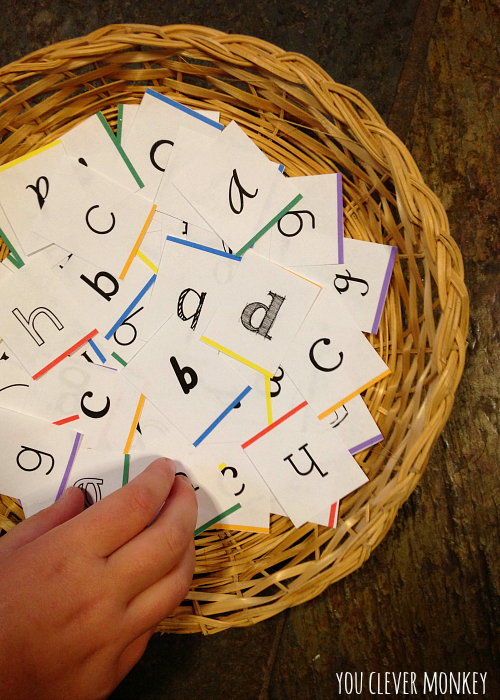 I love this simple, easy to prep idea for practicing sight words from This Reading Mama. I love how Childhood 101 set up this invitation with their playdough. What a perfect way to explore a word family! 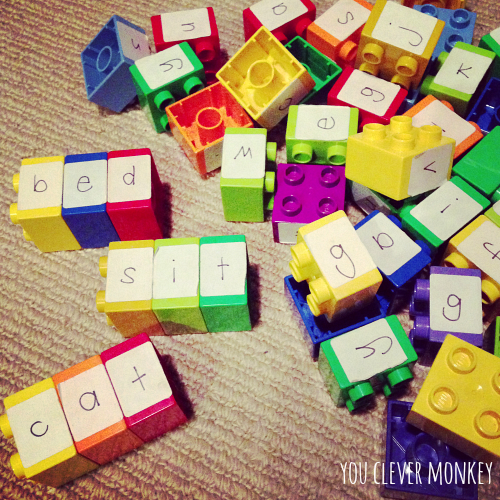 Duplo blocks can also be used to order the alphabet or make simple words. I quite often have a teachers' aide in my classroom so a small group can sometimes work outside. 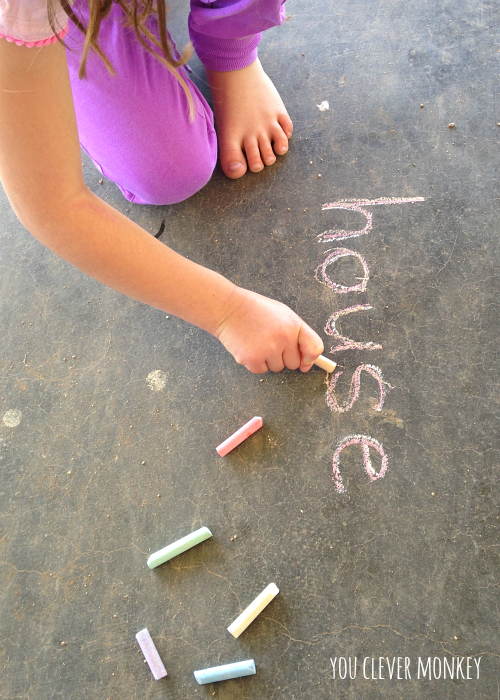 Select some of the sight words they are currently working on and do some rainbow chalk writing outside. 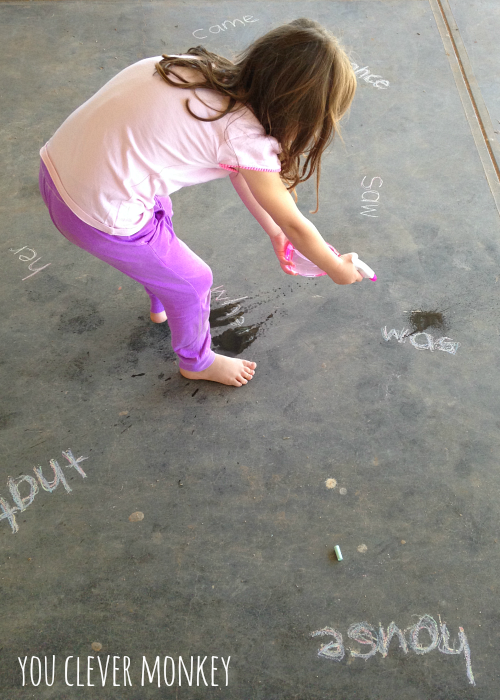 Take a few water spray bottles along too and as a reward for all that writing, call out each sight word and have them squirt water at each of them! Or take some small bean bags and have children try and throw them on the correct sight word as you call them. Super fun! 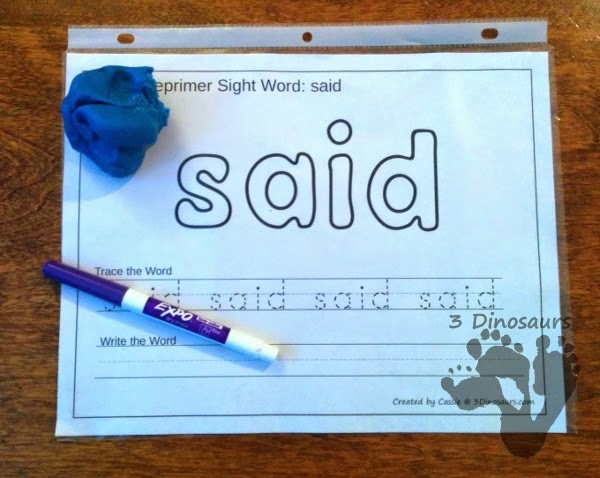 I've printed out these fabulous sight word mats from 3 Dinosaurs and laminated them for repeated use. 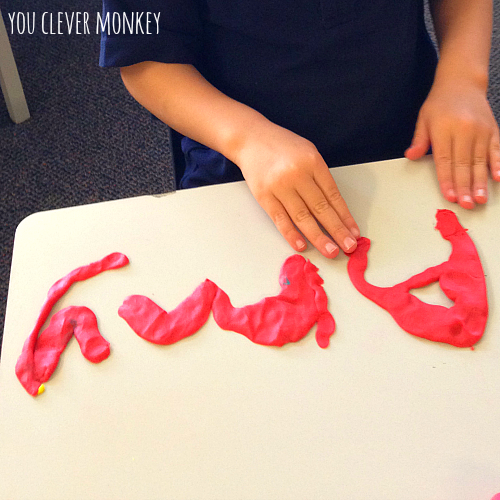 I love how you can use playdough or kinetic sand to make the word first then trace it before writing it. 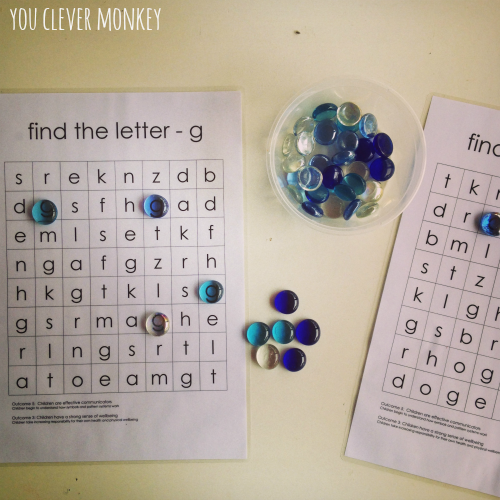 I love this sight word centre idea from Nurturestore. 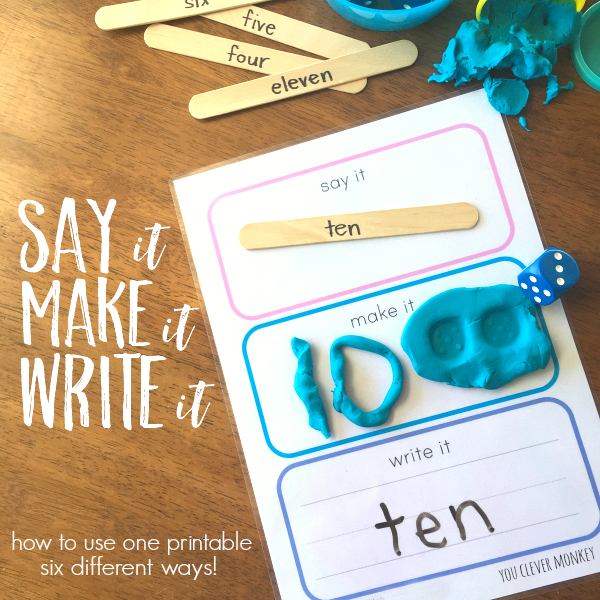 Cathy shares ten great ideas for learning to spell in this post but I like how there are several steps to this one helping reinforce the correct spelling of the word. Learning to recognise each letter takes time. 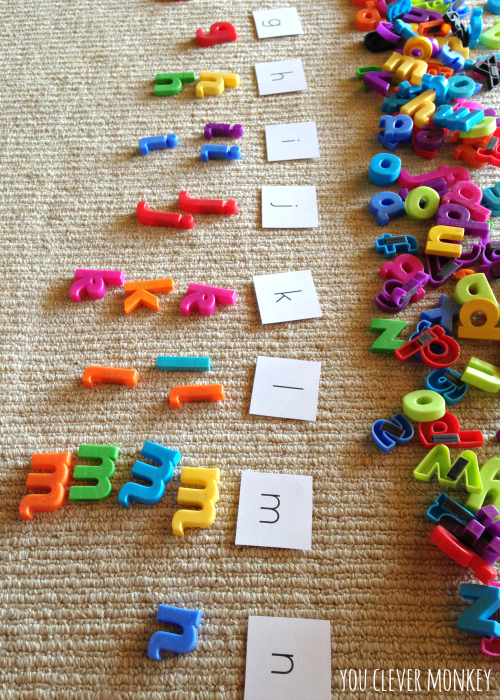 Putting the alphabet into the correct order can be a fun way to practice identifying individual letters. Have some magnetic letters? Are they all in a mess? 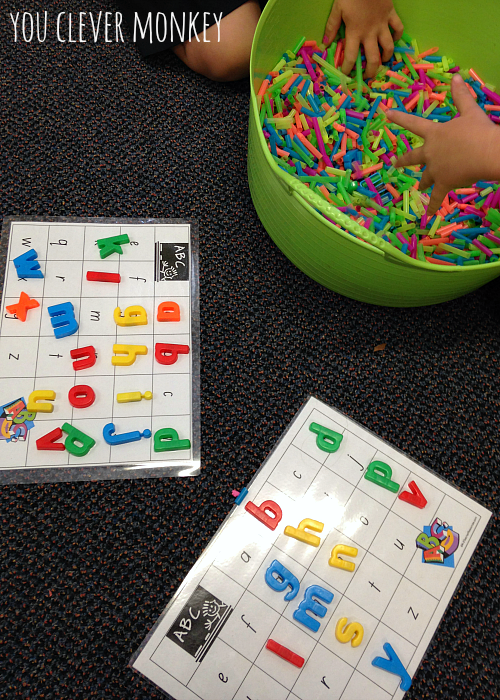 I know the ones In my classroom were so we did this letter sort as one of our literacy centres. With a few keen cutters in my class, I made a straw cutting station for them to use during activity time one week and now the straws form a lovely sensory bin base. This time we hide some more of our magnetic letters in them. Cut straws and kinetic sand have become my new favourite sensory bin fillers. 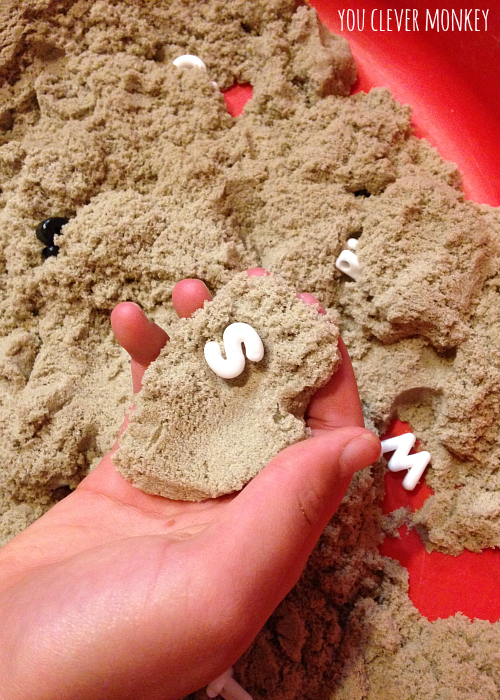 Using the same alphabet mats as those pictured above, this time I hid some alphabet beads in the kinetic sand for the children to hunt for. I'm just waiting to read the class Chicka Chicka Boom Boom just so we can do this idea I saw on Pinterest with our alphabet beads! I can't see us getting rid of our Duplo blocks anytime - not with these free printable letter cards from Wildflower Ramblings to put with them. 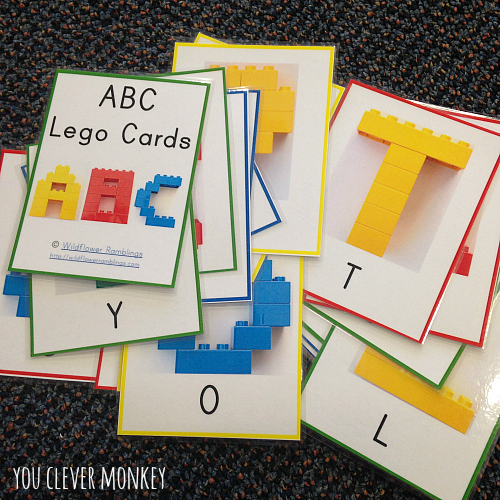 Another easy alphabet sort - I made up these letter cards in different fonts. 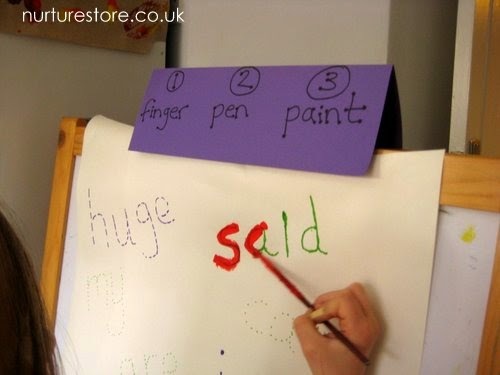 Each letter has the same line of colour running along the bottom to help support children sort them correctly. We're also learning to recognise our upper and lower case letters. We just started using these picture cards.